The spectre of gluten intolerance has been looming over our house for a couple of months, and my partner has recently confirmed that he’s partially gluten intolerant – to particular types or strains of wheat. I had no idea that was even A Thing, so it’s only a matter of time before my curiosity gets the better of me and I subject you to a post on wheat strains. Sorry. It would appear that wheat is not the healthiest thing in the world for anyone, so I’ve decided to use this as an opportunity to change our diet & create some healthier living at the same time. I’ve been getting acquainted with some new flours like potato and rice flour, plus using some previously ignored besan [chickpea] flour that’s been loitering sadly in my cupboards for some time now. I’ve also started experimenting with new gluten-free recipes, and I’ll be posting the successful endeavors here now and then! Baking is one of my favourite and most relaxing pastimes, and I am determined to concoct gluten-free versions of all our favourites in this house. 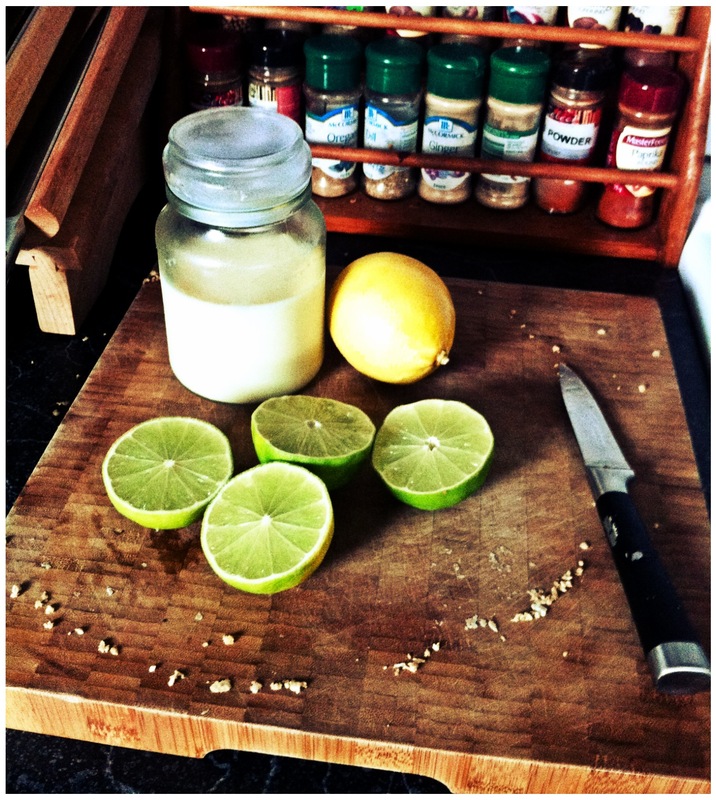 Project number one was a gluten-free key lime pie. 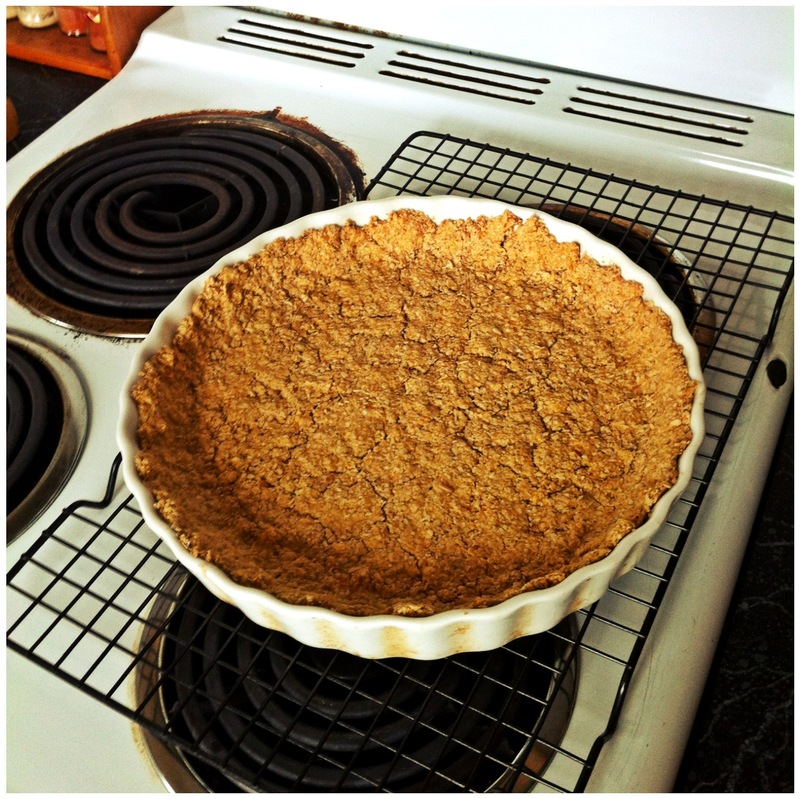 The main problem here is obviously the crust – but I am really happy with the substitute I found – an oat crust! Graham crackers don’t exist in Australia, and I really do miss a good graham cracker pie-crust so I was thrilled to find that this oat crust tastes somewhat like graham crackers. Graham cracker graham cracker. Combine ingredients in a food processor, and blend until it is the consistency of, well, graham-cracker crumbs. The mixture should be sticking together – if not, adjust the quantities of butter or fruit as needed. I’m sure you could also make this a vegan crust by using oil instead. Combine filling ingredients in a bowl, whisking until smooth. Pour into the cooled pie-crust and bake for 12 minutes at 350 F. Prepare the meringue topping while the pie is baking – whip the egg whites until soft peaks form, and then add the sugar incrementally while continuing to whip the egg whites. Continue whipping until the mixture takes on a thick glossy texture and look, with soft to medium peaks forming. The pie should be just set when taken out of the oven. 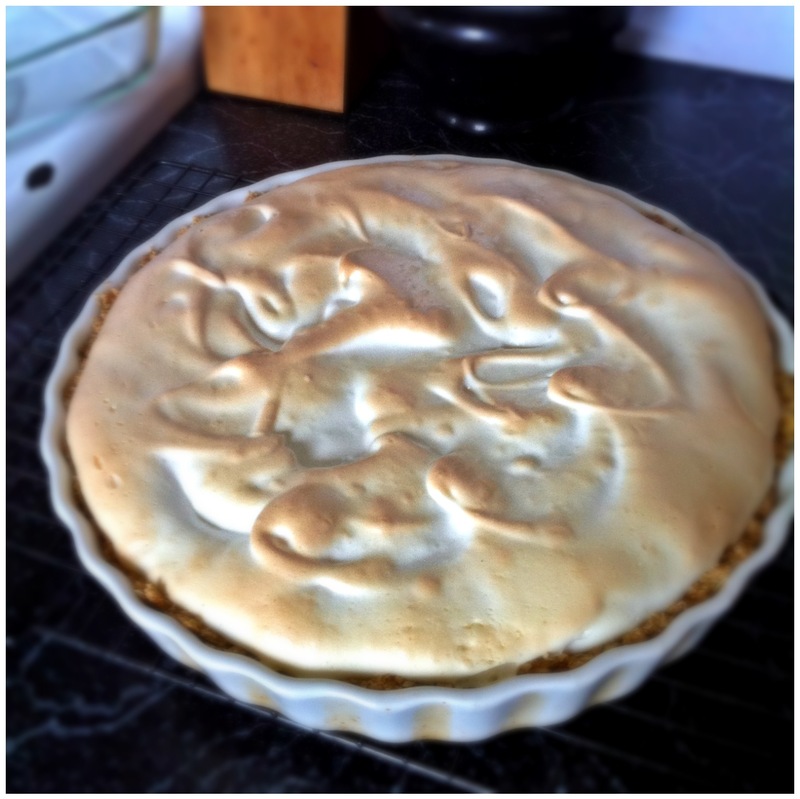 Immediately spoon the meringue topping onto the pie, and return to the oven for a further 5-10 minutes until the meringue is just cooked and browning on the top. Et voila. Not the healthiest thing ever, but it certainly is tasty. I’m obviously VERY new to this gluten-free baking thing, so if I miss anything glaringly obvious (like an ingredient that has gluten), please let me know. I’m learning here. Hello sweets… Lyle has been working in brooks while we r in stoon. He has been bread and noodle free for almost 3 weeks… I am looking forward to ur process… it may help me when he is here to have some other things to make for him… thanks for sharing. I myself have never tried key lime pie. Yum yum Jen, he’s a lucky fella! I have some good info for you (about going gluten-free) so I’ll email it to you.